Nuclear power has long been a mainstay of the Northeast’s energy mix, but a wave of planned retirements has fueled a debate about the fate of aging reactors, and their value to the region’s economy as states work to achieve a variety of energy and climate goals. In New York and Connecticut, independent analyses have shown that if nuclear plants were to close prematurely, much of the replacement power would come from the burning of fossil fuels, because it would be impossible to ramp up enough wind and solar generation to offset the electricity, at least in the near-term. That would lead to an increase in emissions of carbon and other pollutants, making it challenging to meet states’ climate objectives. The studies advise that discussions around the future role of nuclear power consider a full accounting of the avoided costs of carbon-free generation compared with fossil fuels – to consumers, the environment and public health. Last year, New York regulators assessed those costs before they approved subsidies to help the James A. FitzPatrick, R.E. Ginna and Nine Mile Point nuclear plants, located upstate. The plants were considering closing because of stagnant energy demand, and fierce competition with rock-bottom natural gas prices in interstate energy markets. Audrey Zibelman, chairwoman of the New York Public Service Commission, told The New York Times last August that the social and economic benefits of New York’s program — including reduction of carbon emissions, lower prices for electricity and jobs in the power-generation industry — would be much greater than the cost to ratepayers, which state officials estimate will total less than $2 a month. The reactors provide more than 3,300 megawatts of power combined, some 15% of the state’s electricity output. They also supply 61% of the state’s carbon-free generation, and if they shut down, their power would be primarily replaced with natural-gas generation, according to an analysis from The Brattle Group. Zibelman said the resulting rise in emissions would detract from Gov. Andrew Cuomo’s goal of cutting carbon emissions 40% below 1990 levels by 2030, and 80% by 2050. The economic toll would be high, too: consumers would be expected to pay $15 billion more in electricity prices over the next ten years, and the costs to the environment and human health from increased emissions of carbon dioxide, sulfur dioxide, nitrogen-oxides and particulates would total an estimated $736 million. The New York policy and a similar one that would help two struggling plants in Illinois is opposed by electric generators, who made two filings at the Federal Energy Regulatory Commission (FERC) arguing the subsidies distort and undermine wholesale power markets. 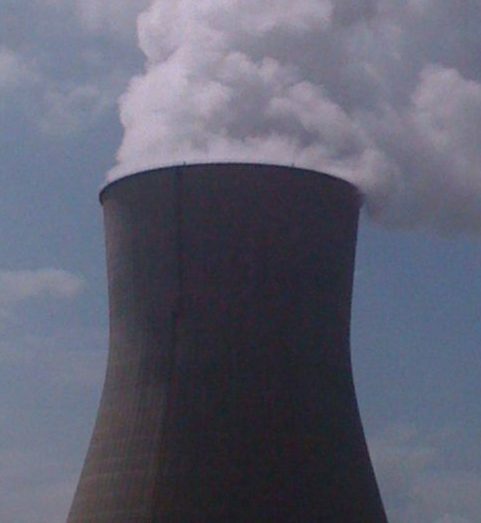 Elsewhere in the Northeast, the Vermont Yankee plant retired in 2014, and two more reactors are scheduled to close in 2019, nearly a decade or more before their scheduled license expirations: Entergy Corporation’s Pilgrim plant in eastern Massachusetts, and Exelon’s Oyster Creek plant in eastern New Jersey. In Connecticut, which gets 60% of its power from the 2,111-megawatt Millstone Nuclear Power Station, state lawmakers are debating a proactive strategy to ensure the plant stays in operation in the coming years. Although Millstone’s owner, Dominion Energy, has not announced plans to close, lawmakers are considering a measure that would enable the plant to compete in a state renewable energy procurement program, as a way to lock in long-term power prices for a portion of its output. Proponents stress the bill’s intent is to enhance affordability for ratepayers, and guarantee a continued supply of zero-emission power to help the state meet its target of reducing greenhouse gas emissions 80% below 1990 levels by 2050. Millstone provides 98% of Connecticut’s carbon-free electricity. Instead of offering subsidies to support nuclear output as New York and Illinois have done, the bill’s sponsors have made it clear that their approach is market based, and is intended to encourage the growth of renewables, too. The legislation, which passed the joint Energy and Technology Committee last week, would enable the plant to secure long-term contracts for nearly half of its output, avoiding the volatility of daily wholesale power markets. Millstone had been insulating itself from the highs and lows of the spot market by selling energy through a series of futures contracts that run for three years. But the daily market is so volatile that the futures market has faltered, the Connecticut Mirror reported last year. Company officials have said the bill will lead to lower electricity prices for consumers. The proposal has led to a heated debate in Connecticut, with opposition coming from petroleum industry, consumer advocates, and environmental groups worried that allowing nuclear power to compete in a market reserved for renewables will undercut prices for wind, solar and other emerging energy sources, just as natural gas prices have undercut nuclear power. The bill also calls for an escalation of clean-energy development. It would extend, for at least one more year, the state’s popular zero-emissions (ZREC) and low-emissions (LREC) programs, which offer incentives for the deployment of distributed generation through a competitive reverse auction. In addition, it ramps up the state’s clean-energy mandate, requiring that by 2040, the state obtain 40% of its power from renewables, which is double the 2020 goal. Lawmakers are still negotiating to add some additional renewables “encouragers” as well, said Rep. Lonnie Reed, House chair of the Energy and Technology Committee. Their thinking is that encouraging Millstone to keep running, at least in the near-term, would avoid an increase in emissions from fossil fuel generation while new capacity comes online from solar installations, wind turbines, fuel cells and other sources. Reed said that if Millstone were to shut down, there is a real danger that duel-fuel natural gas and oil plants would be built to replace the reactor’s massive output in order to meet Connecticut’s and New England’s electricity capacity needs. Those plants can be constructed much faster than the equivalent capacity from renewable generation, for a variety of reasons, but they emit carbon and other pollutants. Studies show that if Millstone were to close in the near future, consumers would pay more. According to a report last year from the Analysis Group, a private economics consulting firm, if Millstone remains open until its operating license runs out in 2030, consumers throughout New England will reap $6.2 billion in net benefits. That includes an average $500 in annual savings for residential electricity customers in Connecticut over the next thirteen years, and $1.5 billion in avoided costs to the region’s wholesale electric capacity markets. Conversely, if Millstone were to close prematurely, average consumer electricity prices would be 21% higher by 2030. Replacing the plant’s power over the short-term would require a mix of existing and new natural gas generation, both from in-state generators and in the region. That would stress the local natural gas markets, which supply heat and industrial fuels in addition to electricity, and lift costs. Emissions of greenhouse gases and other pollutants would rise, too. The carbon-dioxide pollution avoided through Millstone’s operations is roughly equivalent to taking nearly 470,000 passenger cars from the road each year. Early retirement of the plant would boost greenhouse-gas emissions by 2.2 million metric tons annually, some 33%, making it challenging for the state to meet its climate targets. Nitrogen-oxide pollution would increase 38%, thus contributing to worsening air quality. While the research did not quantify the economic impacts from higher emissions, a number of studies have shown that avoided pollution leads to improved health and economic outcomes for society, because fewer air-pollution-related illnesses means less money spent on medical treatments and lower absenteeism among American workers. The report’s authors note that their analysis was based on conservative assumptions. They assumed that Connecticut and the other New England states will be able to fully meet their current energy and climate goals, in terms of adding increasing supplies of renewable energy. That includes contracting for hydroelectric imports from Canada from the Northern Pass electric transmission project by June 2020, though the project has yet to receive state and federal approvals. Additional supplies of renewables would make the economy more energy efficient, and thereby mitigate natural gas price increases, the report explains. “But if natural gas prices spike higher than expected, if there’s slower than hoped-for progress in other things you’re doing in your transition, then the value to Connecticut customers is larger” if Millstone remains in operation, said Sue Tierney, senior advisor at the Analysis Group, during a televised hearing on January 24 in Hartford. Those who favor policies to keep the region’s nuclear plants up and running observe that concerns about rising emissions in New England aren’t hypothetical. In 2015, the year after the Vermont Yankee nuclear plant closed, the region saw emissions rise for the first time in five years, The Boston Globe reported. Many of those engaging in the policy debate over the future of the region’s nuclear fleet emphasize that it is a question of priorities, and choosing from an imperfect set of options. There are safety issues associated with nuclear power, and costs surrounding the storage of nuclear waste, which is being held in pools and dry casks on the site of the nation’s 99 commercial reactors, given the lack of a national long-term repository for spent fuel. Some environmentalists insist that it is possible to address climate change without nuclear power, by promoting an energy mix based on wind, solar, hydroelectricity and storage. They point to officials’ aggressive push to accelerate clean-energy development in a number of states. In Massachusetts, where the 680-megawatt Pilgrim Nuclear Power Station is set to shut down in two years’ time, officials are hoping to dramatically increase imports of Canadian hydroelectric power, and take advantage of the nascent offshore wind industry here. Last year, Gov. Charlie Baker signed legislation requiring utilities to procure 1,600 megawatts of electricity from offshore wind in a little over ten years, enough energy to power half a million homes. The law also calls on the state to competitively solicit long-term contracts of up to 20 years to procure 1,200 megawatts of hydropower or other renewable resources, and authorizes the state to secure an energy-storage procurement goal. More than half a dozen transmission lines have been proposed to bring lower-cost Canadian hydropower into New England and New York state, though so far, only one has obtained all of the required siting permits, a proposed 1,000-megawatt cross-border transmission line known as the Clean Power Link. In New York, officials’ approval of subsidies for the three upstate nuclear plants contrasts with Gov. Cuomo’s recent announcement of a deal to close the Indian Point Nuclear Plant, located less than 30 miles north of Midtown Manhattan, a decade ahead of schedule. Cuomo has said his administration has identified replacement sources of power for the plant, including offshore wind, hydroelectricity and efficiency. Cuomo has set a target for the state to get half of its power from renewables by 2030. Others have argued that given the short window of time to available to address climate change in order to avoid devastating global impacts, nuclear power must play a critical role. “The key time frame for mitigating the climate crisis is the next decade or so,” warns a 2013 study from James Hansen at the NASA Goddard Institute for Space Studies and Columbia Earth Institute. The research calculated that global nuclear power has prevented an average of 1.84 million air pollution-related deaths that would have resulted from fossil-fuel burning, and avoided 64 gigatonnes of carbon-dioxide-equivalent greenhouse gas emissions. In Connecticut, Rep. Reed said it should be possible to include nuclear power in a strategy to help renewables thrive. She noted that two of the largest grid-scale renewables projects built in Connecticut in recent years were financed by Dominion Energy, Millstone’s owner: a 14.6-megawatt fuel-cell project on a brownfield in Bridgeport, and a 5-megawatt solar array on a farmer’s field in Somers. “I see the potential to create some more intelligent synergies that allow Dominion to help grow our renewables capacity, while also receiving the economic certainty they are looking for to keep Millstone around and churning out our baseload zero-carbon electricity until our renewables are ready for prime time here in New England, where siting anything is a nightmare,” said Reed. This entry was posted in Climate Change, Energy, Uncategorized and tagged climate change, energy, government policies, renewables. Bookmark the permalink.